Garden Design Cambridge came to meet a client in Cambridge who wanted to transform their very plain, Tarmacked front driveway into something that was both aesthetically pleasing and could satisfy their new passion for gardening. 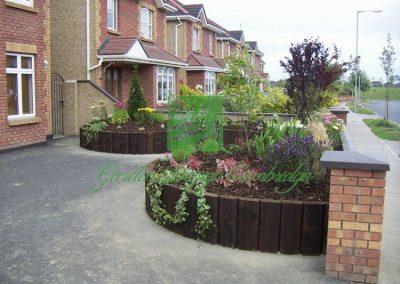 We decided the best course of action was to create two large, sweeping raised flower beds across each side of the driveway. 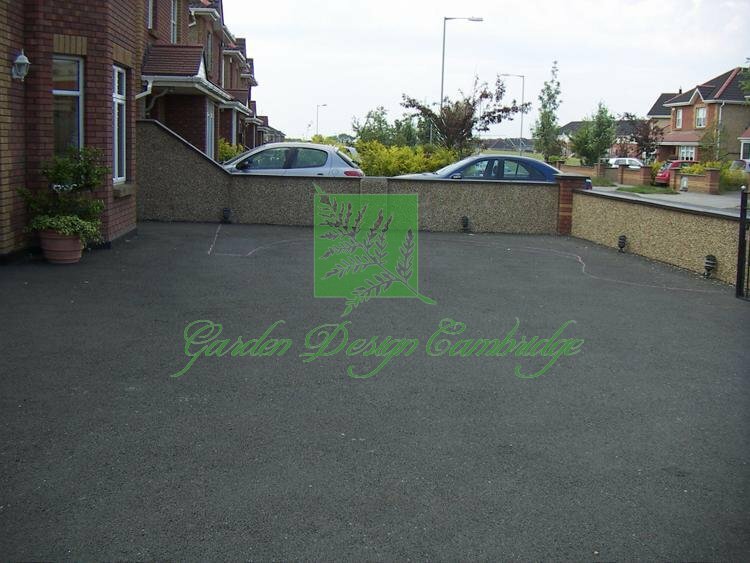 We began by marking out with chalk onto the Tarmac exactly where the raised beds would go. 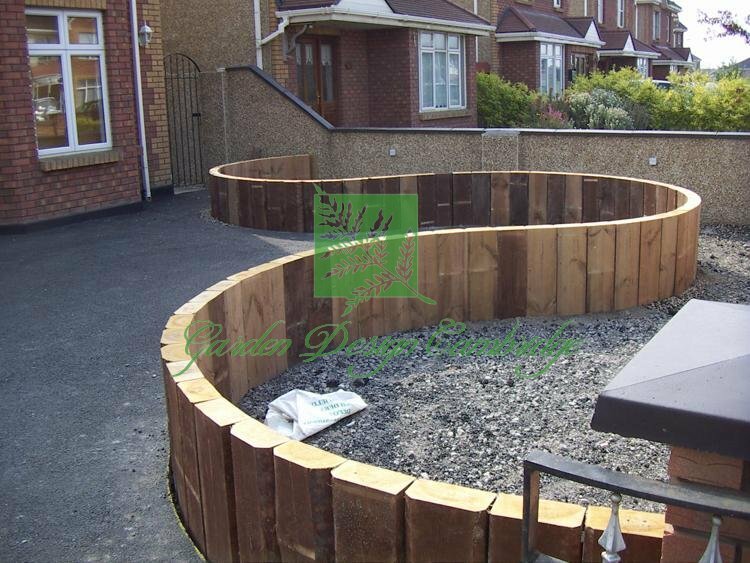 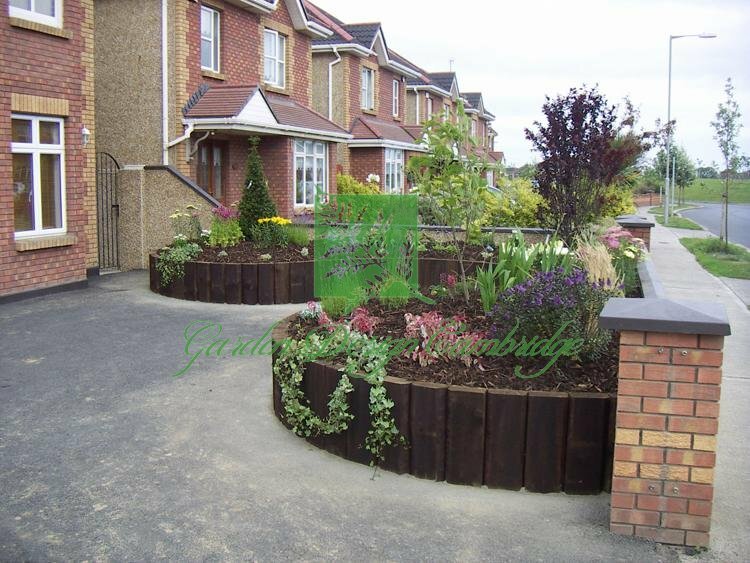 Garden Design Cambridge then dug down several inches along the border of each bed and sunk cut railway sleepers into the hole to create the perimeter of the raised beds along the driveway’s front and side walls. 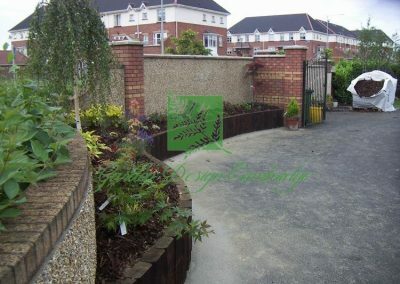 Once all the sleepers were in place, we filled each bed with a base layer of crushed MOT type 1 Granite. 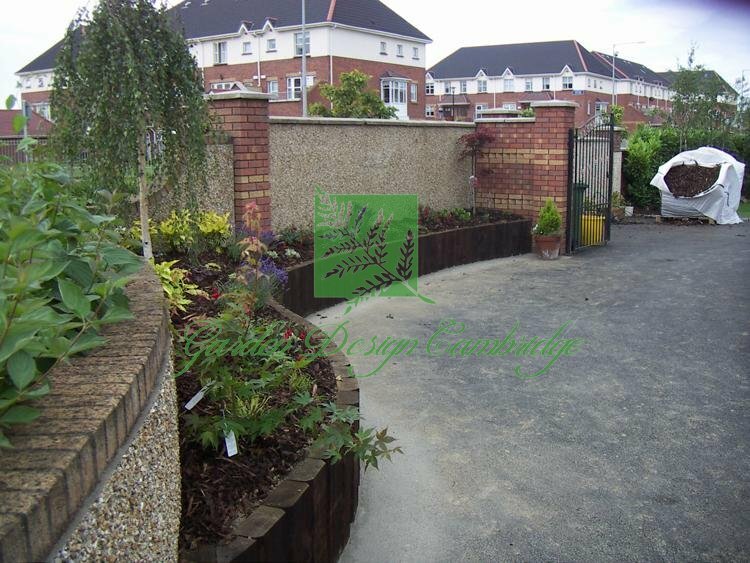 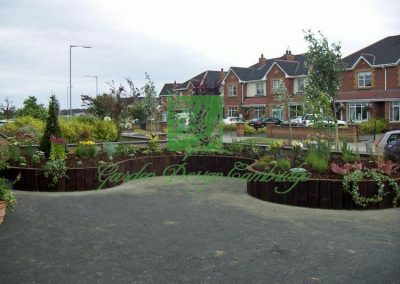 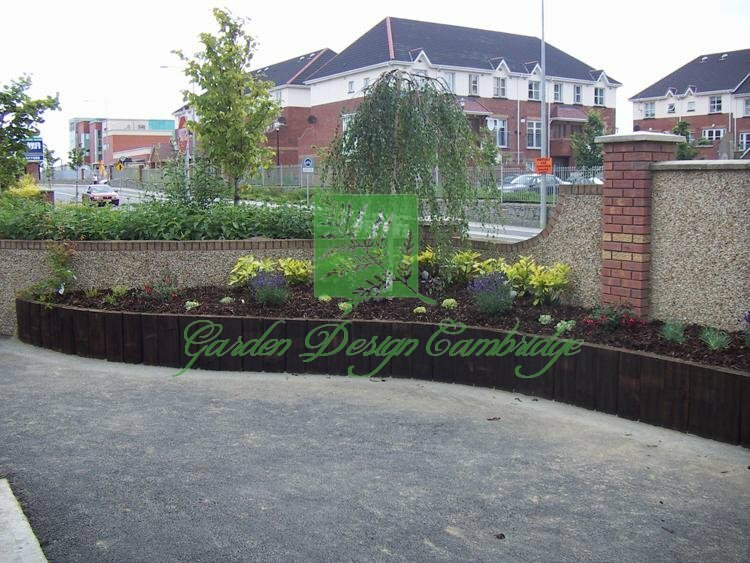 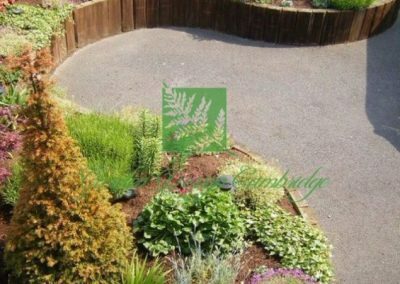 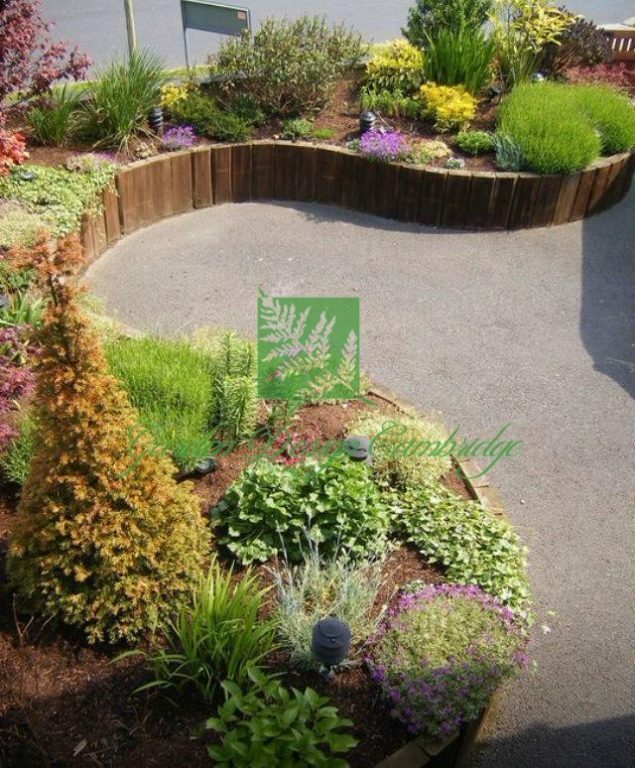 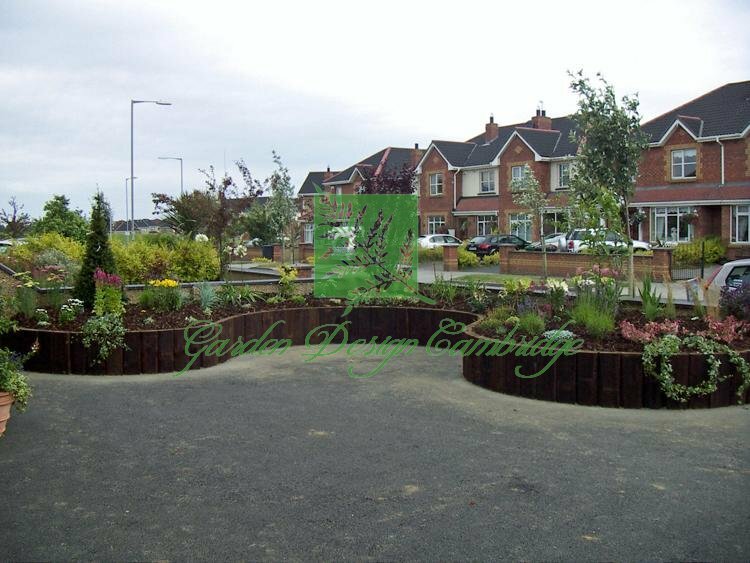 High-quality, nutrient-rich soil was then added to the beds and various plants that had been chosen by the client (on Garden Design Cambridge’s recommendation) were planted before the beds were topped with tree-bark chippings.